I believe to this day that god put us on this earth for two main reason: to be in the Rockies, to eat the best food we can and to drink the freshest, coldest beers that we possible can. Okay, that might be three and I am sure that there are other reasons why we are here but for eateries in Jasper, there is no better man to recommend the best than yours truly. 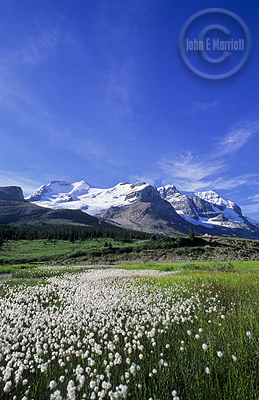 Address: 504 Patricia Street, Jasper East, Alberta, Canada. The mistake that most people make when they drive by La Fiesta is that it is just another Mexican Restaurant. Sure, Mexican food is awesome but when Mountain Man wants to treat himself to something delicious, La Fiesta is the best choice. There are Mexican dishes on the menu but also a whole host of gourmet dishes to try. The tapas are arguably the best thing about La Fiesta. Sometimes, choosing is too hard and the only possible solution is to eat everything within your reach. This restaurant is one of the few that can provide this luxury. Call me greedy, and I’m sure you will but I also had the lasagne for main course and at the risk of being disowned by my mother, it was the best I have ever had. Another thing which makes La Fiesta so good for a man of the mountains is that from 10pm to 1am, you can order tapas and sandwiches. There aren’t many places in Jasper than can provide this service. Price wise, it is comparitevely cheap to other local restaurants and the service is always flawless. One of the best from a man who knows his food. You had me at hello! Ah, sweet sweet beer mixed with sweet sweet food. After a day of trekking the slopes, does it get any better than heading to Jasper Brewing Company to “taste” some of the delicious local brews and wash it down with some great food. The food is made to go hand in hand with beer so don’t expect tiny platters of gourmet food. Instead lick your lips at some juicy bison burger, sweet potato fries and mixed salads. If possible, leave the car behind and taste the Honey Bear ale. The pale ale is truly delicious also. What makes the tasty beers so surprising is that there really is no competition for local beers in the area. I guess it just makes it all the more impressive. 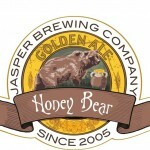 For a friendly atmosphere, great food, greater beer and an all round good time, Jasper Brewing Company is the perfect stop. This is the option to take for the person who wants not much more than to relax in comfortable surroundings before lolling down to a delicious restaurant to satisfy their tongue and belly. The first thing that grabs the attention of Overlander Mountain Lodge is not the food but rather the stunning view. Despite the cold temperatures when I went there in December, I couldn’t help but stand and stare out for a long time. By the time I eventually made it into the restaurant, the air had made me hungry and also in dire need of some hot soup before hypothermia kicked in. The dinners, like the views are something special. Four course meals topped off by a mouth watering steak. Although I thought it impossible to eat any more after the steak, there was still just enough room to fit in some home made ice-cream. It is pricey so best kept for special occasions such as celebrating Tuesdays or sundown. Great Experience! If you want to trust someone else’s judgement on where best to eat, have a look at Other Eating Options.